This photograph is from August or September of 1875 near the eastern end of the bridge. 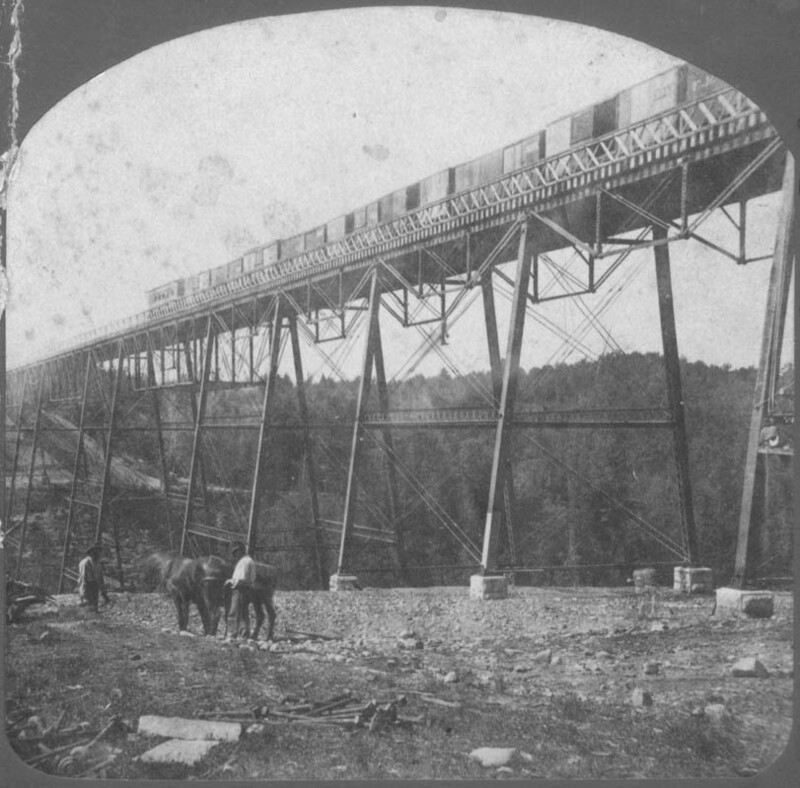 The "new" bridge carrying the Erie Railroad across the Portage Gorge was only a few weeks old when it was taken. It appears that workmen are cleaning up around the worksite - they appear to be using a team of horses to drag large iron rods left over from the construction into piles. If you look closely at the tower to the right, you will see some workers on the bridge tower, perhaps painting or doing some other final work while a freight train passes over head. For more views of both the Iron Bridge and the Wooden Bridge it replaced, be sure to go to the index of our Historical Photo Album. We thank Mary Jane York for allowing us to copy and use this image!